Your boat is fully insured for loss or damage, however we recommend you consider taking out Third Party Public Liability Insurance to cover for other events. A Security Bond (boat damage deposit) is authorised on your credit card prior to your charter commencement. The Security Bond will cover against loss or damage to the vessel but not charter negligence. The bond will be released upon completion of your charter if no damage is reported by the de-briefer or diver. 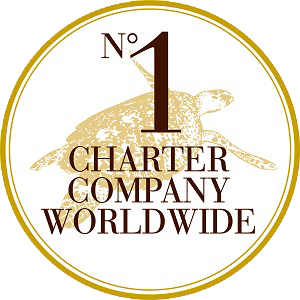 The Damage Waiver is a compulsory, non-refundable payment included in the total cost of your charter which will cover against any minor loss or damage to/on the vessel. We strongly advise you are covered by Travel Insurance in case of unforeseen events such as cancellation due to illness, injury or adverse weather (cyclones). We recommend Oceanic Marine Risks Australian Comprehensive Plan. This policy is optional and is designed to protect you from claims made against you for Loss or Damage to Third Party Property, or the Accidental Death, Bodily Injury or Illness of a Third Party. 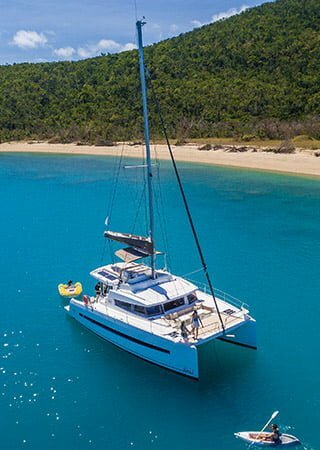 We recommend Oceanic Marine Risks Bareboat Hirer’s Liability Insurance.